As part of our study on Buildings, all classrooms will have field trips to visit the Post Office and learn about how the mail is delivered in the community. Make a mailbox with your child. This is one of the activities on your March calendar. Kids can keep the mailbox in their classroom to receive mail. It is so much fun to see what the kids make and bring in. There will be some extra mailbox-making supplies available. Just let your child’s teacher know what you need for your project. Send your child mail. You can send mail through the post office using this address: The Center; Attention: (your child’s name); 315 West 6th Street; Leadville, CO 80461. Ask your friends and relatives to send mail, too. Kids love talking about all the places where the mail comes from. 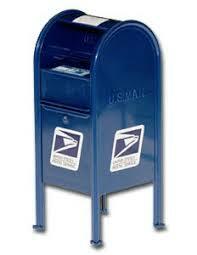 You can also drop mail (stamp free) in the cardboard mailbox in the school’s hallway by Room 9. This box is only for mail to children here at The Center. We’ll check this box everyday and pick a helper to play the role of carrier. Kids love to learn about the mail. Thanks for helping us make it even more fun. Thank you, Trail 100 Legacy Foundation!